I noticed the tight ends didnt get targeted once against the Raiders. Was it just the game plan? Is that the new norm for the Rams to not use the tight ends in the passing? I only asked because in Washington McVay used Reed as his main guy on offense. He drafted Everett to be the his version of Reed. Even Hibgee coming out was supposed to be a very skilled and talented tight end. His comp coming out was Greg Olsen which we know is a great tight end. 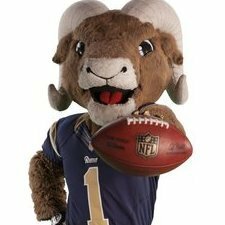 I just am wondering why the Rams targeted the receivers and backs but didnt throw a single pass to the tight end, especially in the redzone? Everett missed basically of preseason and camp. He might not be fully prepared. Cooks, Kupp, Woods, and Gurley are all amazing receiving options. Higbee has been very inconsistent. Not surprising that we wouldn't feature him. I think we want to feature Gerald Everett, but he's just now returning from injury. I totally agree that all those guys are amazing options. I am just saying like even Brown I believe got a target. Couldnt Higbee get a target? I think the tight end position is the missing piece to really make this offense unstoppable. The offense is scary but it would be unstoppable once the tight ends start to produce. Brown got a target based on the scheme design of the play and the Raiders defense. It was an easy pitch and catch. I don't think Goff trusts Higbee. Is that the new norm for the Rams to not use the tight ends in the passing? This got me thinking: when you look through the franchise’s storied history, with HOF players at pretty much every position, it’s odd that we’ve never had a great tight end.